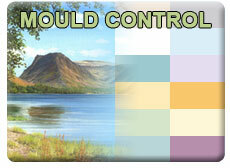 What is mould and which treatment removes it? 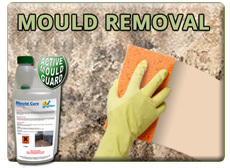 There are three anti mould treatment steps to get rid of mould from your home. In order to get rid of mould, you need to determine why the mould is forming and then cut off the moisture source which is giving rise to the outbreak. There are only two sources of this moisture; Damp or Condensation. 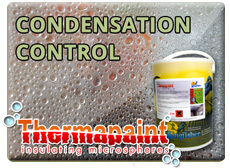 Condensation is by far the most common cause (although it is often misdiagnosed as damp!) and can be alleviated by improving airflow, opening a window, making sure air-bricks and trickle vents are not covered up or installing a vent or fan. 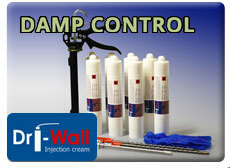 If the problem is rising damp, our Dri-wall Injection Cream can often solve this problem or if rain is penetrating sideways through your masonry then Storm seal or Extreme Climate can help. Alternatively if you are unsure as to the moisture source, call us on 01229 869 100 and ask for technical support, we will be pleased to help. Unsightly black mould growth is a common problem in many homes but Kingfisher Mould Cure treatment gets rid of mould in one easy application. Then make sure to give the infected area a treatment of Kingfisher Mould Cure bio wash to thoroughly sanitise the area, eliminating the spores that can initiate re-growth. Mould Cure black mould remover is the perfect pre-treatment for Kingfisher Anti-Mould Paint or conventional emulsion mixed with Anti-Mould Additive. 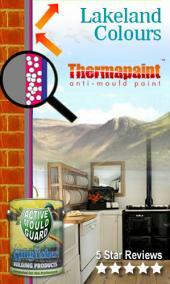 Inhibit mould re-growth with our mould prevention paint (or alternatively use our Anti-Mould additive in your own choice of emulsion) which contains our active mould guard ingredient. 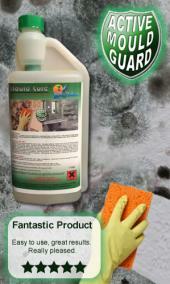 This powerful fungicide forms an invisible active film that black spot mould cannot grow on and is a powerful mould treatment product. It effectively and dependably prevents mould even in circumstances where it is difficult or impractical to fully control moisture to an ideal level.